A timber cold frame will be an attractive and practical addition to your garden. Timber cold frames tend to be easier to assemble as they are supplied in larger panels so it often it takes just a few minutes to build your cold frame ready for use. Make the best use of available space whilst providing a good environment for healthy plant growth, hardening off or over-wintering. A real addition to any kitchen garden, vegetable plot, allotment or general garden set-up because this cold frame is so versatile and well built. Available in both Low Level seedling size and Extra Deep heights. A traditionally styled wooden cold frame, this Large Overlap Cold Frame provides you with a large protected area of growing space. 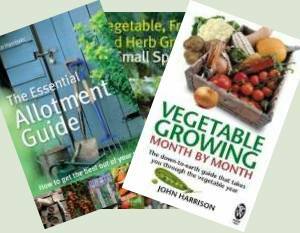 Our Books - A Growing Offer!